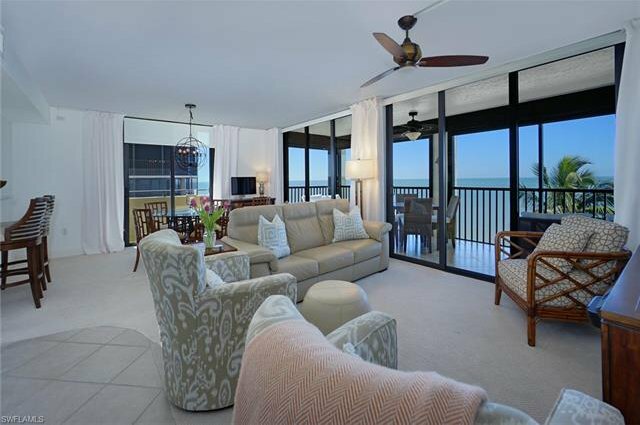 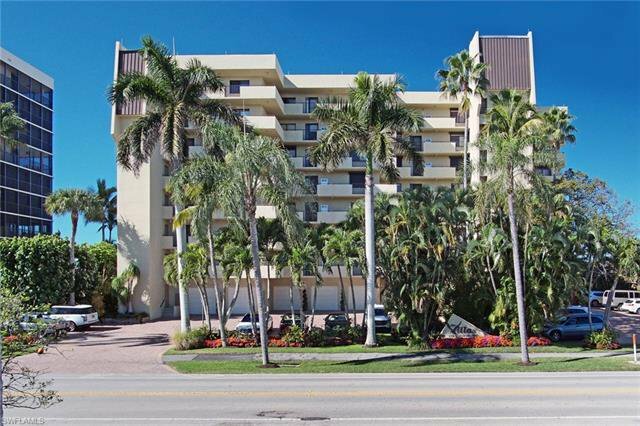 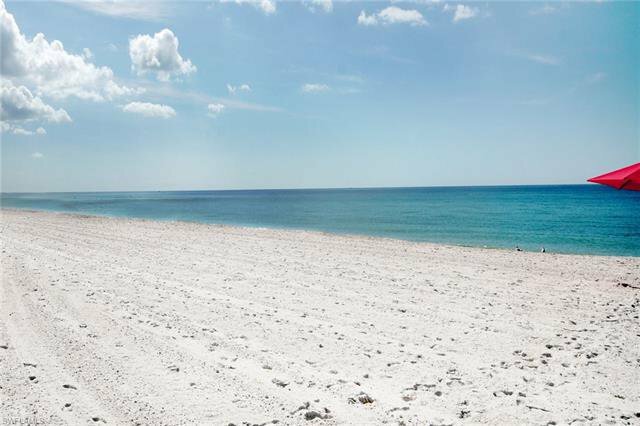 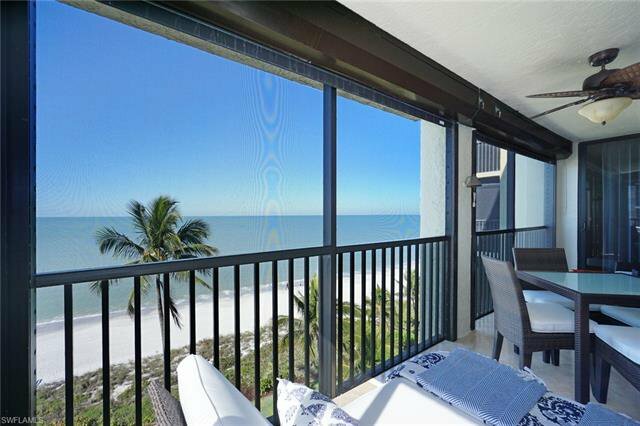 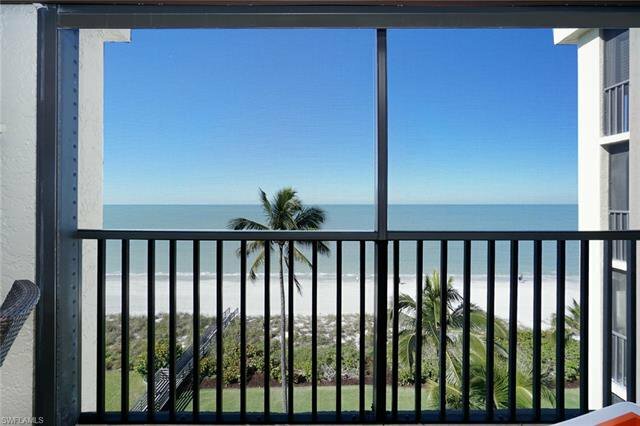 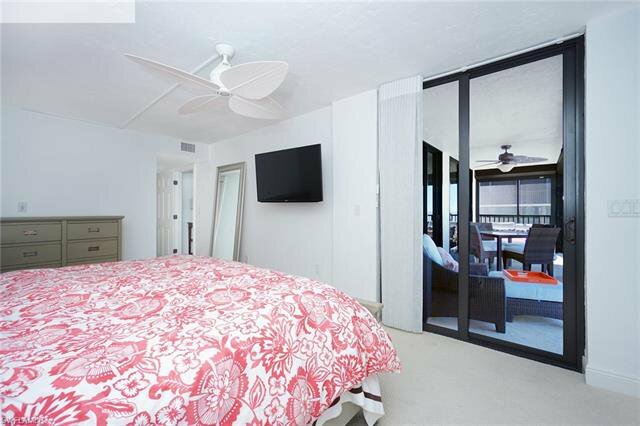 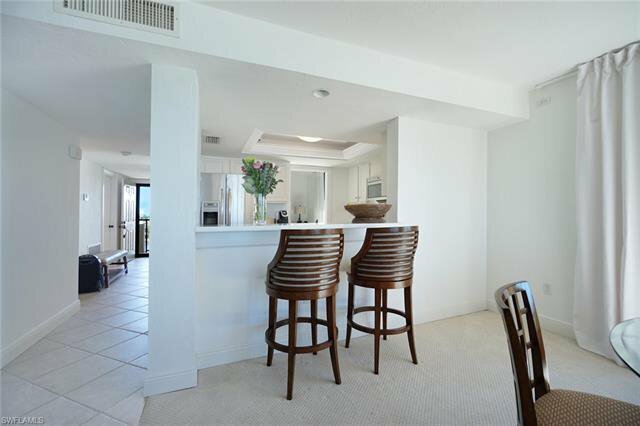 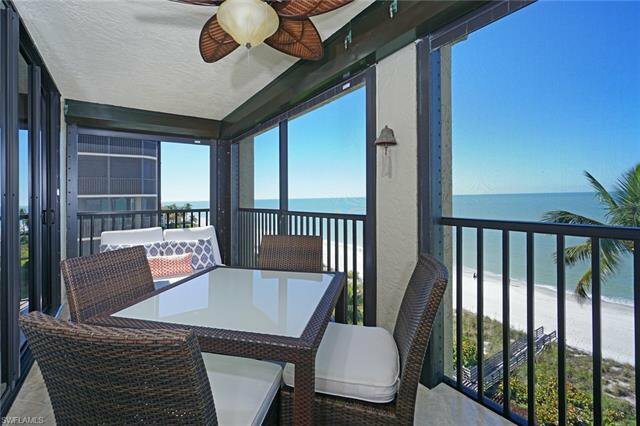 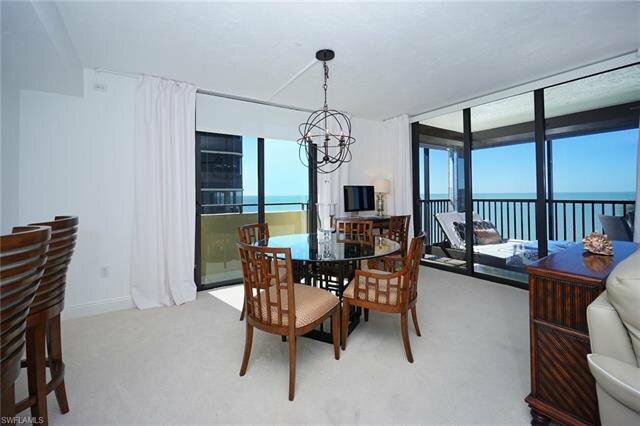 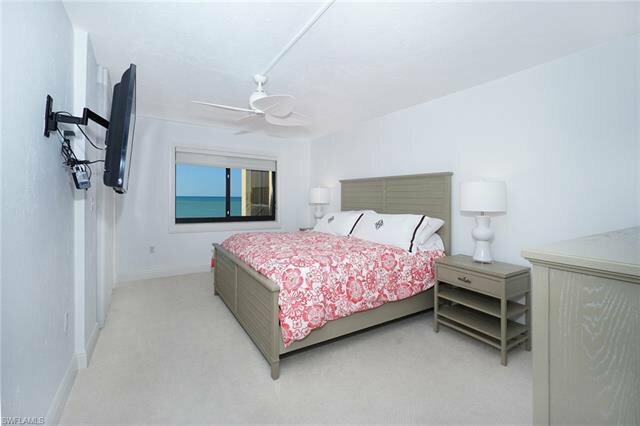 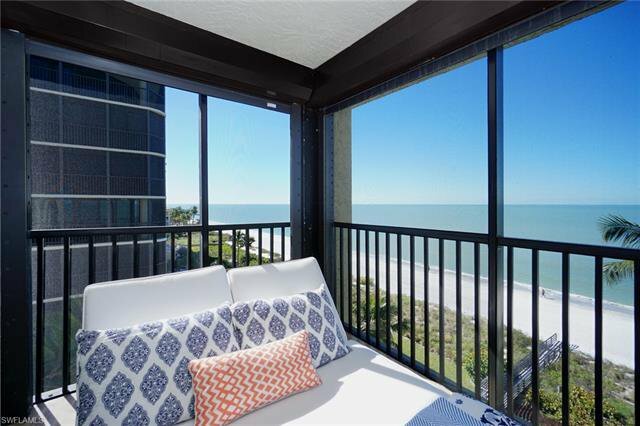 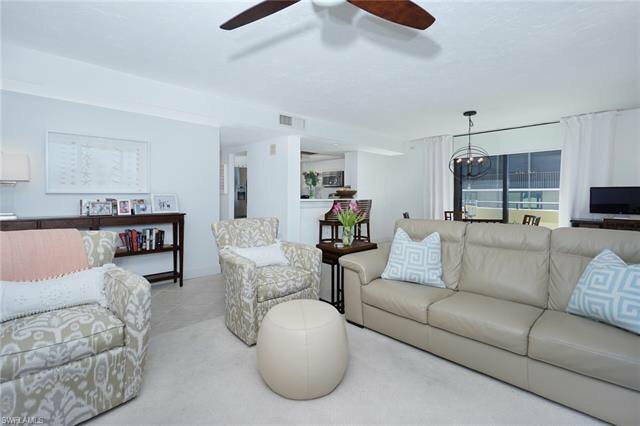 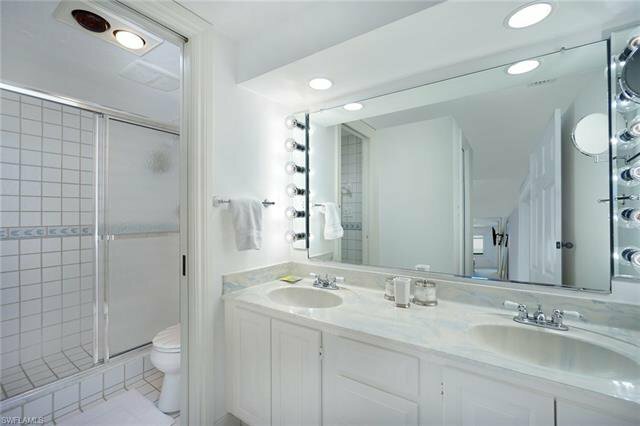 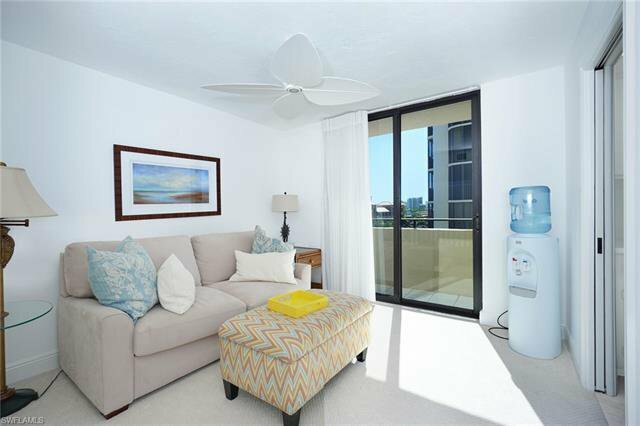 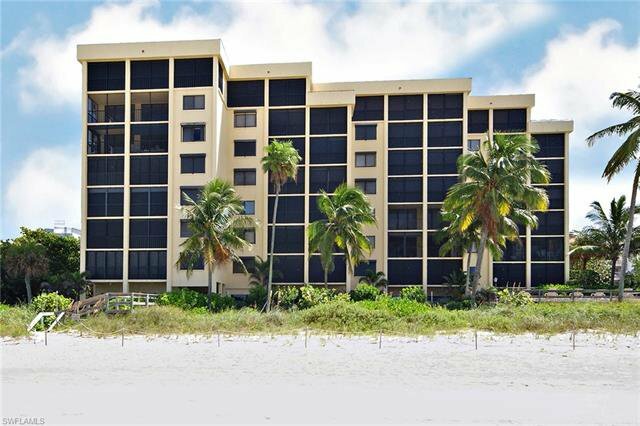 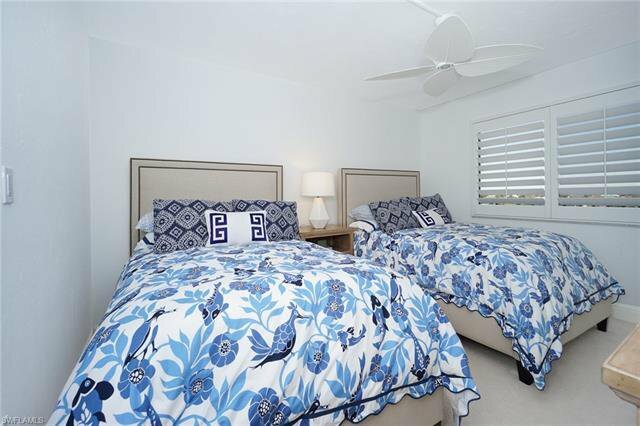 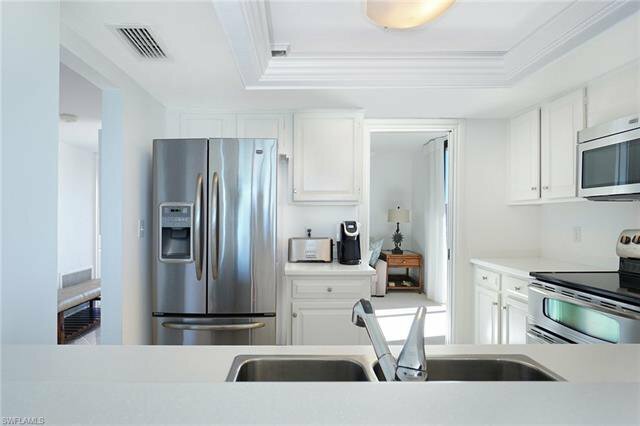 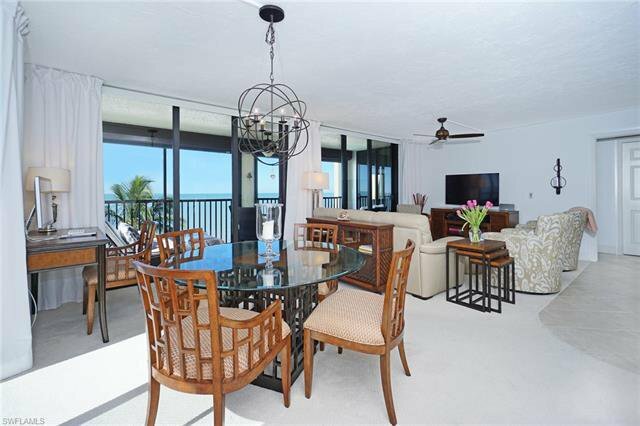 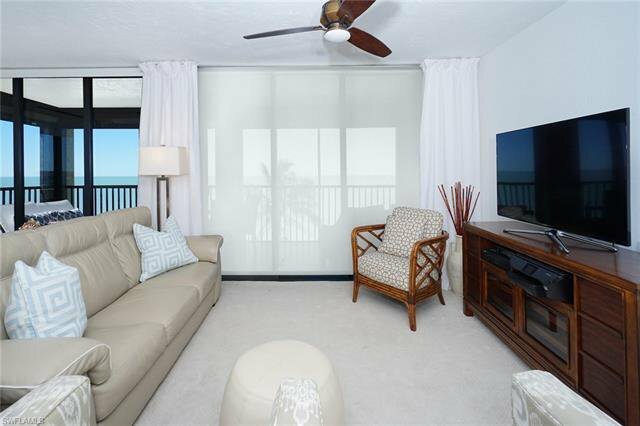 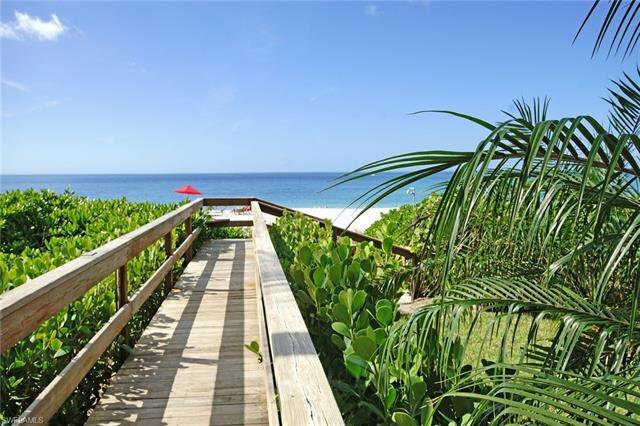 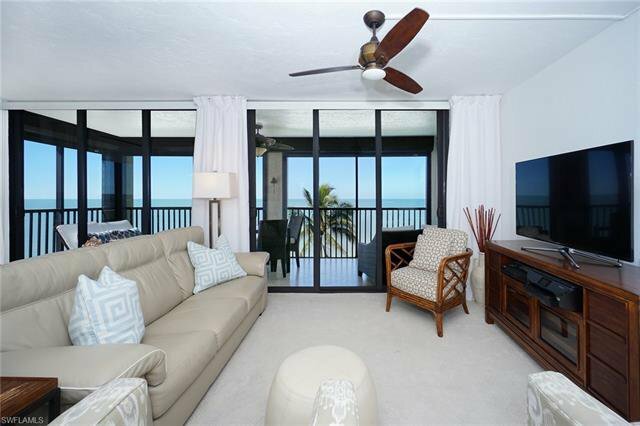 Sitting directly on the SAND of award winning Gulf of Mexico Vanderbilt Beach, this rarely available SOUTHWEST CORNER CONDOMINIUM ON THE 6TH floor offers sweeping ocean vistas and warm light. 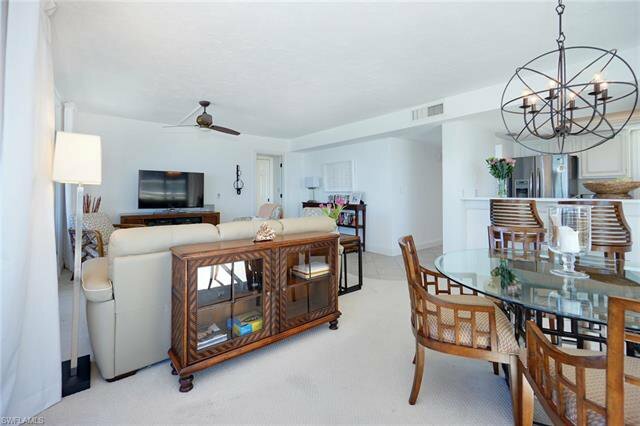 Two "Juliet" Balconies are charming and offer further panoramic views This lovely open floor plan offers 2 bedrooms, 2 baths, and a den (which can be used for extra sleeping for guests) This unique property embraces a relaxed beach lifestyle and a friendly atmosphere. 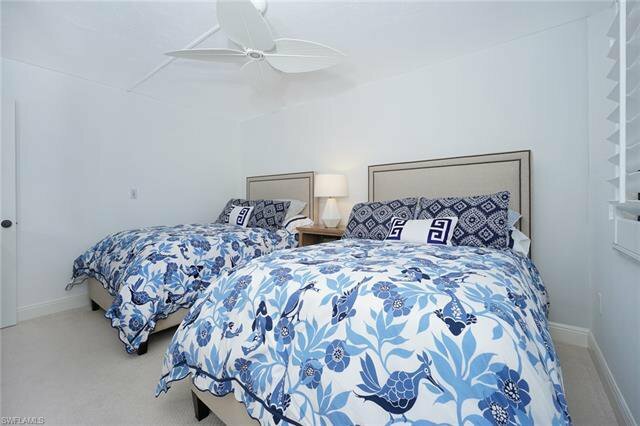 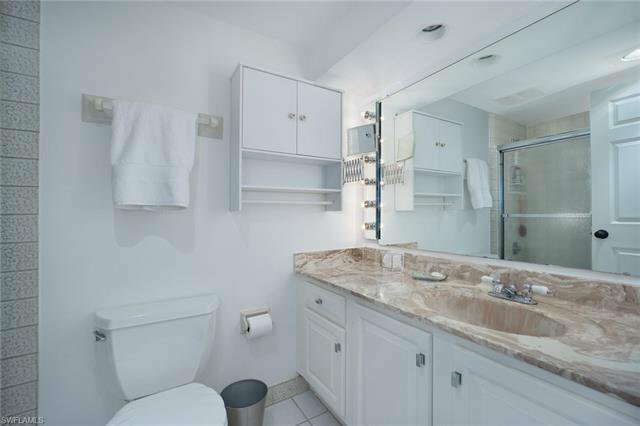 It is a great opportunity to meet other Owners because of its size--- as only 26 lucky people reside here. 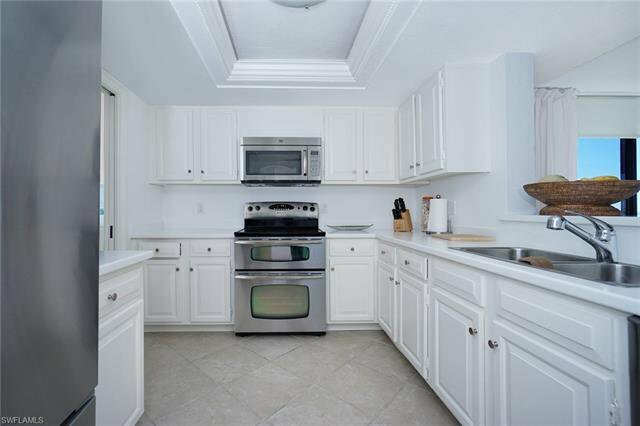 Newer A/C, stainless appliances, hurricane shutters and IMPACT RESISTANT WINDOWS AND SLIDERS make this home even more desirable. 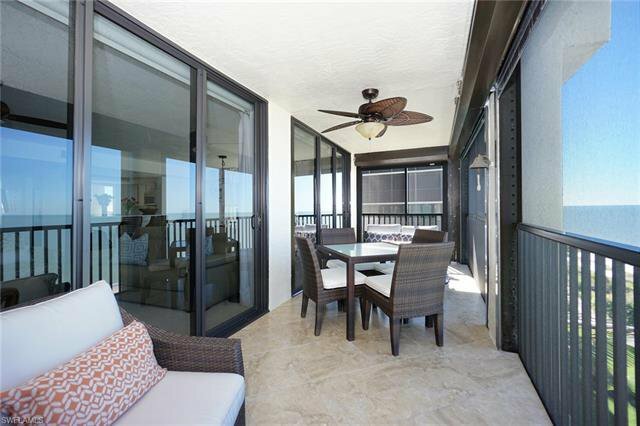 New pull down sun shades to use at your discretion . 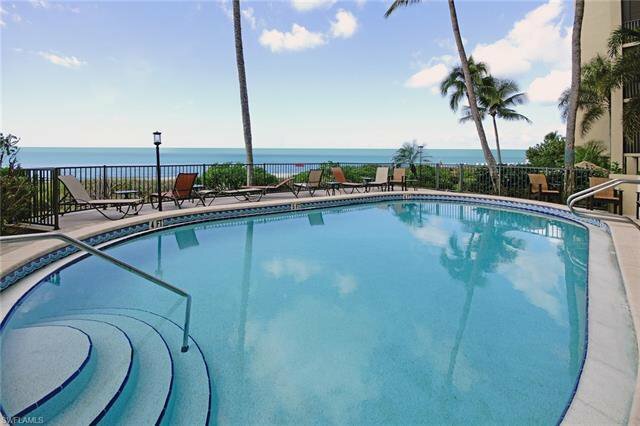 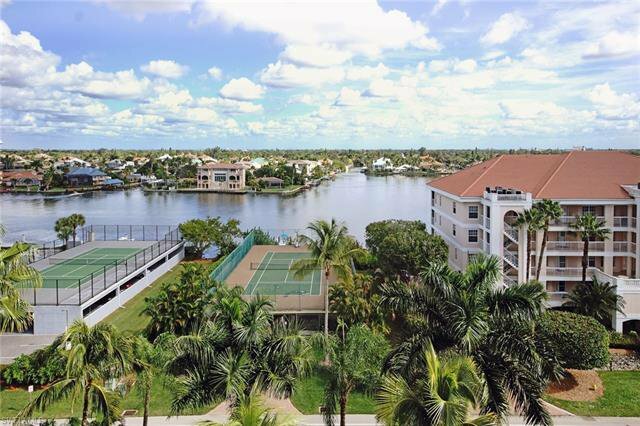 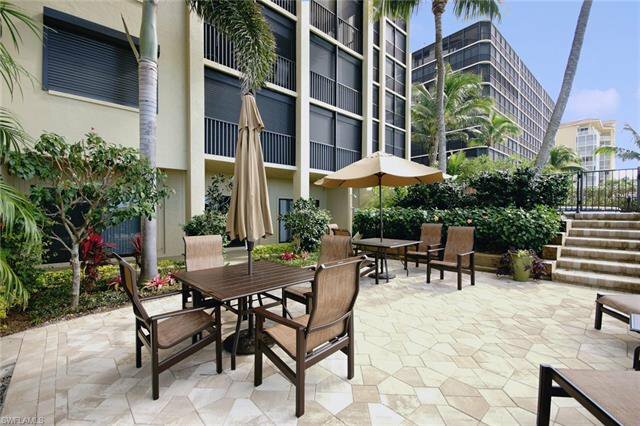 This is one of the few buildings that has a beachside glistening pool, beautiful grounds, private tennis courts and extra parking- covered and gated- under the courts. 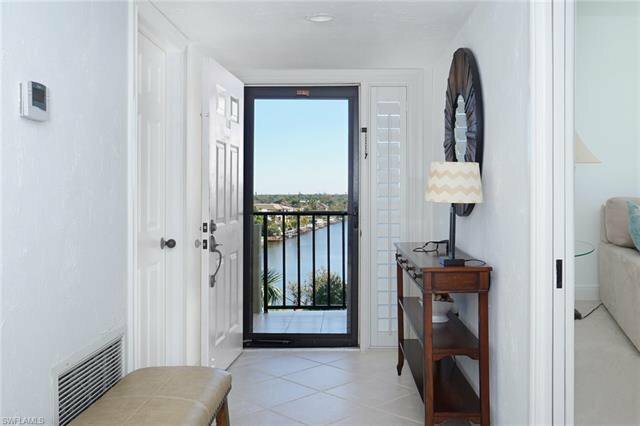 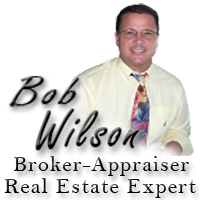 Boat docks available to lease or purchase from private Owners, all Residents of the building. 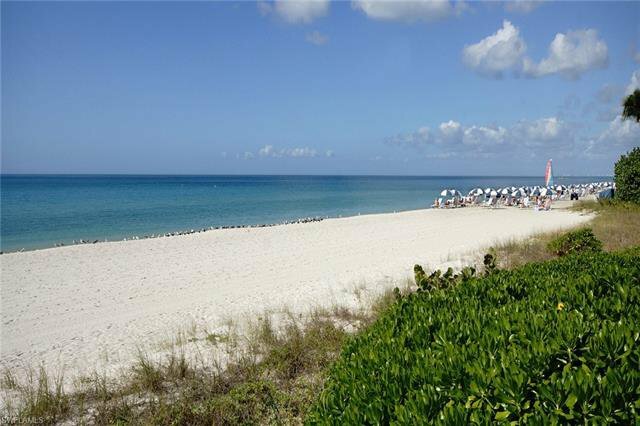 On site Manager, a short walk to La Playa, Turtle Club and the 5 star award winning Ritz Carlton. 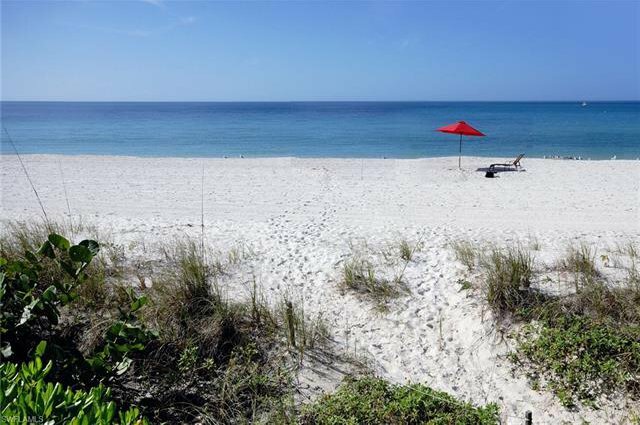 This is truly a wonderful opportunity for that beach lover.